Technology is getting smarter. Google Assistant and Voice Search are becoming more popular, with more than 40% of adults using verbal commands daily. Whether it’s Cortana, Siri, Google, or Amazon, smart speakers are being used more frequently and with increased accuracy than they were a few years ago. While this doesn’t mean your website content needs to be overhauled entirely, there are subtle changes that can enhance its search performance. 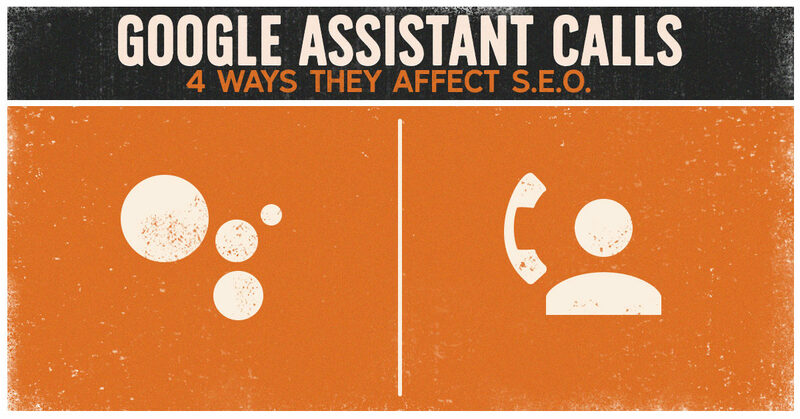 Here are some of the SEO impacts of Google Assistant and how to optimize your site for them. Unlike typed searches, spoken queries are more conversational than structured. Articles and general content should mirror the search format. Research the types of queries about your industry, products and services that are being conducted by users. By learning the questions people are asking, you can provide the answers in your website copy. Optimizing your website for voice is crucial for potential customers to find your business. This makes using long-tail keywords a priority. Google Assistant provides answers to questions instead of a list of relevant results. It uses the featured snippet to get the data needed to respond. Craft a succinct, informative description for your snippet. It should answer the most common question asked about your brand’s products and services. This can help you move up to that number one spot. Consumers ask their smart speakers to complete a variety of tasks every day, yet only a few have any bearing on SEO. Local search is one of those functions. Consumers may be looking for a nearby hardware store that carries a specific paint, a Thai restaurant with the best Tom Yum soup or a hair salon that’s open in the evening. Completing your Google My Business profile with contact and location information, description, images and or video can help Google Assistant find you easily. At Clicks and Clients, we understand that ranking on search engines and SEO is about more than the keywords. We help you develop a strategy that will improve your website’s performance and beat the competition. Schedule a Discovery Call today.